Bits and pieces of useful (and often trivial) information which you can use to amaze your teacher and bore your friends. The Domestic hen (Gallus domesticus) was domesticated in prehistoric times, and used by the Chinese, Romans, Greeks and Egyptians. They are believed to have derived from the Asian jungle bird (Gallus gallus). The jungle fowl lived in flocks with a dominant male. They developed pecking orders within their flock, roosted in trees, and scratched the jungle floor for insects, seeds and young plants for food. These characteristics are still exhibited in today’s domestic hen. Eggs that are bought from a supermarket are infertile and cannot be hatched. Only fertile eggs (from hens that have been covered by a rooster) can produce chicks. 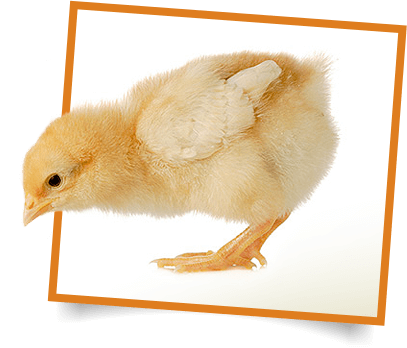 Eggs are hatched naturally under a hen or artificially in an incubator. 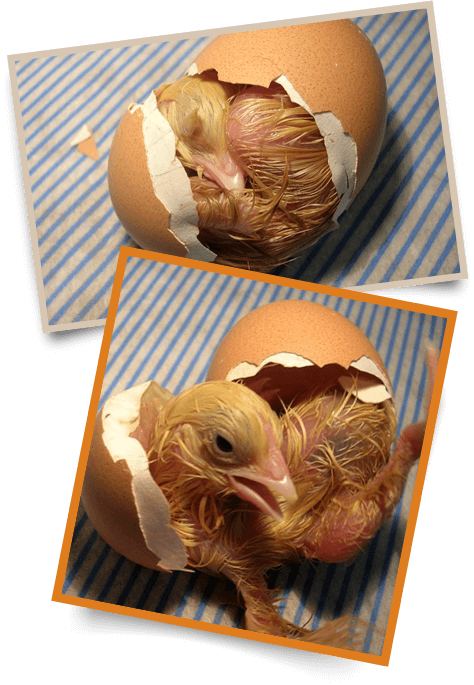 An incubator supplies warmth, humidity and ventilation to ensure a successful hatch. In an incubator, eggs are turned for 18 days, then left stationary for the last 3 days. Mother hen does the same with her eggs. At hatching the chicks break a lid off the egg (at the blunt end) by pushing out with their beak. Chicks have a lump on their top beak called an “egg tooth” to help them break the shell out. The egg tooth falls off soon after hatching. 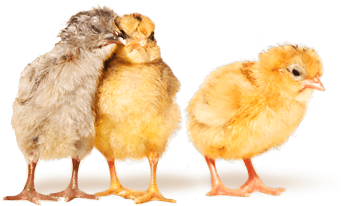 Brooding is the name given to caring for chicks after hatching until they can fend for themselves. Brooding needs to provide warmth, ventilation, feed, and water. 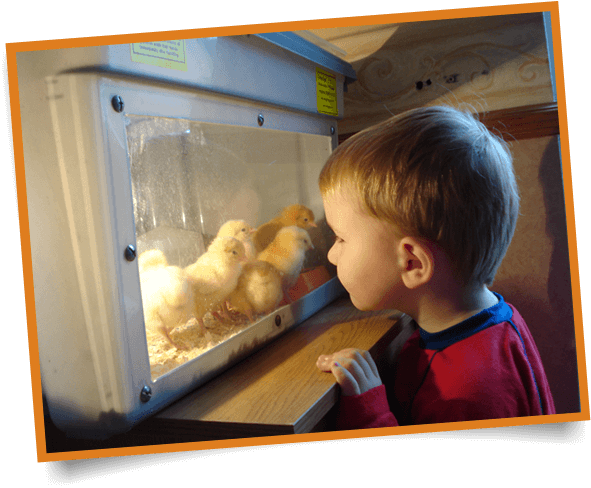 A brooder can be as simple as a cardboard box and a desk lamp with a 60 watt bulb for warmth. Chickens are housed in a variety of ways depending on climate and area available. A Chicken Coop usually consists of 2 areas, an enclosed “house” for protection from the weather and roosting facilities for night-time, and an open “run” to allow sunning and scratching in the ground. Nesting boxes are usually fitted to the enclosed “house”. Tractor Pens are movable pens providing both a protective house and an outside area. They are moved regularly to provide fresh ground for the chickens to scratch and graze on. Two to three birds are housed in cages for a laying period of 12 to 14 months. Droppings fall through the wire floors and are cleaned out regularly. Continuous feed troughs and automatic waterers are fitted to the cages. Eggs roll out through the front of the cage and lie in a gutter for collection. Birds are kept in sheds with “litter” on the floor i.e. straw, wood shavings, rice hulls etc. The equipment inside the sheds consists of food troughs waterers, nesting boxes and perches. Free Range eggs are produced from hens allowed the opportunity to graze and forage on pastures. You can now find free range eggs on your supermarket shelves next to the commercially produced ones. However, you will pay a little more for them with good reason. (Broiler) Broiler is the name given to birds bred specifically for meat production. The Chicken Meat industry is commonly known as the Broiler Industry. … these and other exciting facts can be discovered with a Living Eggs Chicken Hatching Programme.